The She Leads program of events combines education and skills development, an abundance of networking opportunities, and a mix of stimulating talks and hands-on workshops with some of Australia’s most renowned women leaders. The program includes three annual conferences, including the She Leads Conference, the She Leads College Conference, and the She Leads High Conference, quarterly She Leads In-Conversation events, and bi-monthly She Leads Workshops. She Leads attendees are an extraordinary breed: passionate, outward looking, curious, intelligent, and hungry to learn more. Our 2018 events will attract a highly engaged audience from Canberra and beyond, who want to lead change locally, nationally and internationally. We anticipate that more than 800 women will engage with at least one aspect of the program. By becoming a She Leads partner, you are demonstrating your support for advancing gender equality in Australia. You will join like-minded organisations and businesses from a range of sectors and industries in empowering women to thrive. To find out how your organisation can get involved as a She Leads partner, please contact Helen Machalias on (02) 6175 9900 or at helen.machalias@ywca-canberra.org.au. Defence Force Recruiting (DFR) connects high calibre individuals to fulfilling careers in the Australian Defence Force. Demonstrating a commitment to women’s leadership, DFR were our Principal Supporter for the inaugural She Leads College Conference in 2015, helping us to connect young women in years 11 and 12 with inspiring women mentors and gain access to leadership skills and development. In 2016, DFR supported both the She Leads Conference and the She Leads College Conference as our Principal Supporter. In 2018, we are pleased to once again welcome DFR as the Principal Supporter for the She Leads Conference, She Leads College Conference, and the She Leads High Conference. PriceWaterhouseCoopers have joined the 2018 She Leads program as a Champion partner to collaborate in progressing gender equality and raising the status of women. PwC have a long track record of empowering women in work through increased work-life balance, parental leave, and a commitment to eliminating the gender pay gap. CentreRED IT are dedicated to equality, as is demonstrated through their work with the Not-For-Profit sector in Canberra and Melbourne. CentreRED IT have joined the 2018 She Leads Conference Networking Function as the Network Partner. Through this partnership, they are actively engaging the Canberra community to progress women’s leadership and networking opportunities. Lush is a new 2018 supporter of the She Leads program, and brings their strong advocacy for human rights and equality. Lush is a long-standing cosmetic company that create cruelty free and 100% vegetarian products, and strive to provide fresh and ethically made and sourced products to improve the planet. We are please to welcome Lush as a Champion for the In-Conversation series, She Leads Conference, She Leads College, and She Leads High. The University of Canberra (UC) has supported the She Leads Program since 2015 as Venue Partner for the inspiring She Leads College Conference. We are pleased to welcome them on board as the Principal Partner for the 2018 She Leads In-Conversation Series and the Venue Partner for the 2018 She Leads College Conference and She Leads High Conference. Visit our blog to read more about UC’s commitment to gender equality. Women’s Agenda is a free publication that gives a voice to career-focused, aspirational women who want to set their own agendas. That’s why in 2014, we partnered with Women’s Agenda as the official online partner of the inaugural She Leads Conference in Canberra. The partnership was based on crafting and sharing compelling content from the Conference speakers and our leadership team, and providing a platform for these important stories to be spread beyond the Conference walls. We are delighted to have continued this partnership every year, including 2018. 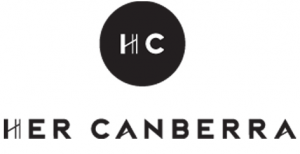 HerCanberra is an online and physical publication, designed to connect women (and blokes) with their city and each other. Featuring the voices of local writers, we write daily about life in Canberra – from ‘what’s on’ to reviews of places to eat; social commentary to health and fitness; beauty and nutrition to books and movies; fashion and motherhood to recipes and home style; if it’s part of ‘her’ life you’ll find it on HerCanberra. Capital Chemist has been a She Leads Friend since 2015, and is continuing to support us to create an affordable, engaging and professional event. 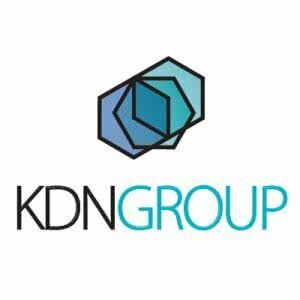 KDN Group have joined the 2018 She Leads Conference as a Conference Friend. They are a property investment, development and management group that is solely Canberra owned and Canberra based, and has been a long-term family business. KDN Group are committed to gender equality, and work to provide equal opportunity in all that they do. 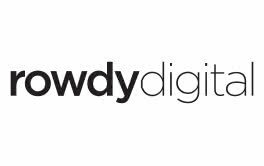 Rowdy Digital produces strategy and design for a digital-first world. NCW ACT is affiliated with the National Council of Women of Australia, which, in turn, is affiliated with the International Council of Women. NCWA is a national non-government umbrella organisation with broadly humanitarian and educational objectives, which seeks to raise the awareness of women and girls to their rights and responsibilities as citizens and to encourage the participation of women in all aspects of community life. NCW work with, and across all sectors, to identify and bring about change to ensure that there is equity and security for all in Australia. Zonta Club of Canberra is part of Zonta International, a leading global organisation of professionals empowering women worldwide through service and advocacy. Zonta International envisions a world in which women’s rights are recognized as human rights and every woman is able to achieve her full potential. In such a world, women have access to all resources and are represented in decision making positions on equal basis with men. In such a world, no woman lives in fear of violence. Prinstant have joined the She Leads program in 2018 as Print Partner for the She Leads College Conference, She Leads Conference, and She Leads High Conference. 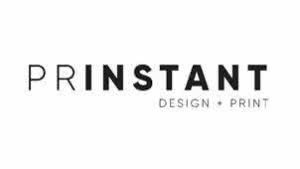 Prinstant are a small, locally-owned printery based in Fyshwick, and specialise in conventional printing, including books, magazines, annual reports, stationery, wedding needs, business cards and posters. The following organisations have partnered with us in 2017 to deliver our She Leads Conference, She Leads College Conference, She Leads High Conference, and She Leads In-Conversation Series. Defence Force Recruiting (DFR) connects high calibre individuals to fulfilling careers in the Australian Defence Force. Demonstrating a commitment to women’s leadership, DFR were our Principal Supporter for the inaugural She Leads College Conference in 2015, helping us to connect young women in years 11 and 12 with inspiring women mentors and gain access to leadership skills and development. In 2016, DFR supported both the She Leads Conference and the She Leads College Conference as our Principal Supporter. This year, we are pleased to once again welcome DFR as the Principal Supporter for the She Leads Conference and She Leads College Conference. In 2015, the Belconnen Fresh Food Markets came on board as Fresh Food Partner of the inaugural She Leads College Conference, providing our attendees with delicious fresh fruit throughout the day. We were delighted to continue this partnership in 2016. In 2017, we welcome the Markets as a Friend to both the She Leads Conference and the She Leads College Conference. The CBR Innovation Network (CBRIN) has been a She Leads Friend since 2016. We are delighted to welcome them as a supporter of our She Leads Conference once again in 2017. CBRIN is dedicated to fostering a culture of innovation in Canberra, and through its programs and services, has helped women to engage in entrepreneurship and leadership. As the leading global specialist recruiting group, Hays believes in powering women’s ambition. Hays is committed to helping women develop career opportunities, and that’s why they have come on board as a She Leads Champion for both the She Leads In-Conversation Series and the She Leads Conference in 2017. HESTA has supported the She Leads Program since 2014, when they partnered with us for the inaugural She Leads Conference. As one of Australia’s leading superannuation funds, HESTA is committed to creating a better future for all Australians, and to providing valuable resources and advice regarding superannuation planning for women. We are pleased to welcome HESTA as a She Leads In-Conversation Champion for 2017. We’re excited to welcome The National Australia Day Council as our She Leads Friends for the 2017 She Leads Conference. thankyou have come on board with us in 2017 as the Healthy Snack Partner for the She Leads Conference and the She Leads College Conference. thankyou are helping us to deliver high quality events with plenty of healthy snack options for our attendees. The University of Canberra (UC) has supported the She Leads Program since 2015 as Venue Partner for the inspiring She Leads College Conference. We are pleased to welcome them on board as the Principal Partner for the 2017 She Leads In-Conversation Series and the Venue Partner for the 2017 She Leads College Conference. Visit our blog to read more about UC’s commitment to gender equality. Women’s Agenda is a free publication that gives a voice to career-focused, aspirational women who want to set their own agendas. That’s why in 2014, we partnered with Women’s Agenda as the official online partner of the inaugural She Leads Conference in Canberra. The partnership was based on crafting and sharing compelling content from the Conference speakers and our leadership team, and providing a platform for these important stories to be spread beyond the Conference walls. We are delighted to have continued this partnership every year, including 2017. The following organisations partnered with us in 2016 to deliver our She Leads Conference and She Leads College Conference. Defence Force Recruiting (DFR) connects high calibre individuals to fulfilling careers in the Australian Defence Force. Demonstrating a commitment to women’s leadership, DFR were our Principal Supporter for the inaugural She Leads College Conference in 2015, helping us to connect young women in years 11 and 12 with inspiring women mentors and gain access to leadership skills and development. In 2016, DFR supported both the She Leads Conference and the She Leads College Conference as our Principal Supporter for both events. Microsoft believes in the positive changes that women bring in decision making processes, in managing people, in driving corporations, as well as in impacting social life in general. That’s why Microsoft were a She Leads College Champion in 2016. The partnership was founded on a mutual commitment to supporting women’s leadership, and supported YWCA Canberra to connect our delegates to inspiring young women pursuing careers in STEM through Microsoft’s talented teams. The University of Canberra supported the inaugural She Leads College Conference in 2015 as Venue Partner, providing the use of the Ann Harding Conference Centre as an inspiring location for this important event. In 2016, they again supported the She Leads College Conference as Venue Partner, helping us ensure a high quality event in an excellent, educational environment. 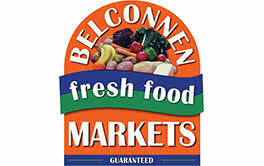 In 2015, the Belconnen Fresh Food Markets came on board as Fresh Food Partner of the inaugural She Leads College Conference, providing our attendees with delicious fresh fruit throughout the day. We were delighted to continue this partnership in 2016. As the Creative Partner of both the inaugural She Leads College Conference and 2015 She Leads Conference under former name, Goosebumps, Rowdy Digital brought the vision and energy of the She Leads brand to life by creating a range of slick and professional print and digital marketing assets. In 2016, Rowdy Digital continued to energise the She Leads brand as our Creative Partner for the She Leads Conference. Women’s Agenda is a free publication that gives a voice to career-focused, aspirational women who want to set their own agendas. That’s why in 2014, we partnered with Women’s Agenda as the official online partner of the inaugural She Leads Conference in Canberra. The partnership was based on crafting and sharing compelling content from the Conference speakers and our leadership team, and providing a platform for these important stories to be spread beyond the Conference walls. We were excited to welcome Women’s Agenda on board again in 2015, as the online partner of the 2015 She Leads Conference, and to continue this relationship in 2016. HESTA partnered with us on the inaugural She Leads College Conference in 2015 and the 2015 She Leads Conference, and continued in 2016 as a She Leads Friend. As a Friend of the Conferences, HESTA provided our attendees with valuable insights and resources regarding superannuation planning for women. We were excited to welcome the CBR Innovation Network (CBRIN) as a She Leads Friend in 2016. CBRIN is dedicated to fostering a culture of innovation in Canberra, and through its programs and services, has helped women to engage in entrepreneurship and leadership. Aspen Medical partnered with us on the 2015 She Leads Conference, and we were delighted to welcome them back on board in 2016 as a Friend of the Conference. Aspen Medical’s contribution helps us make the conference accessible to a diverse range of women. Westpac generously provided scholarships for women to attend the She Leads Conference in 2014 and 2015, and once again supported an Aboriginal and/or Torres Strait Islander woman to attend in 2016. The following organisations partnered with us in 2015 to deliver our She Leads Conference and She Leads College Conference. Defence Force Recruiting (DFR) connects high calibre individuals to fulfilling careers in the Australian Defence Force. Demonstrating a commitment to women’s leadership, DFR were our Principle Partner for the inaugural She Leads College Conference in 2015, helping us to connect young women in years 11 and 12 with inspiring women mentors and gain access to leadership skills and development. PwC is a leading professional services firm with a demonstrated commitment to gender equity in the workplace. PwC was the Principal Partner of the 2015 She Leads Conference. Aspen Medical partnered with us on the 2015 She Leads Conference. As a Friend of the Conference, Aspen Medical’s contribution helped us make the conference accessible to a diverse range of women. Capital Chemist partnered with us on the 2015 She Leads Conference. As a Friend of the Conference, Capital Chemist helped us create an affordable, engaging and professional event. Belconnen Fresh Food Markets supported our Frugal Feast appeal in 2014, helping us raise funds for the Lanyon Food Hub with a special event at the Market Kitchen. In addition, the Markets also came on board as Fresh Food Partner of the inaugural She Leads College Conference in 2015, providing our attendees with delicious fresh fruit throughout the day. HESTA partnered with us on the inaugural She Leads College Conference in 2015 and the 2015 She Leads Conference. As a Friend of the Conferences, HESTA provided our attendees with valuable insights and resources regarding superannuation planning for women. Newcast is a full service video production and ad agency based in Braddon, Canberra. Newcast was the Live Stream Partner for the 2015 She Leads Conference and She Leads College Conference, and helped us create an inclusive and dynamic event by engaging an online audience. As the Creative Partner of both the inaugural She Leads College Conference and 2015 She Leads Conference, Goosebumps brought the vision and energy of the She Leads brand to life by creating a range of slick and professional print and digital marketing assets. The University of Canberra supported the inaugural She Leads College Conference in 2015 as Venue Partner, providing the use of the Ann Harding Conference Centre as an inspiring location for this important event. The Rotary Club of Belconnen was a Champion of the inaugural She Leads College Conference in 2015, supporting YWCA Canberra to develop the leadership potential of young women in years 11 and 12. Women’s Agenda is a free publication that gives a voice to career-focused, aspirational women who want to set their own agendas. That’s why in 2014, we partnered with Women’s Agenda as the official online partner of the inaugural She Leads Conference in Canberra. The partnership was based on crafting and sharing compelling content from the Conference speakers and our leadership team, and providing a platform for these important stories to be spread beyond the Conference walls. We were excited to welcome Women’s Agenda on board again in 2015, as the online partner of the 2015 She Leads Conference. That’s why in 2014 and 2015 Microsoft partnered with us as a Friend of the She Leads Conference. The partnership was founded on a mutual commitment to supporting women’s leadership, and saw Microsoft donating software as prizes to delegates on the day, and promoting the Conference throughout Microsoft’s national network. We work with Horizon One to source outstanding staff for our senior management and executive teams. Horizon One also have a commitment to helping women reach their leadership potential, which is why they were a partner of our 2014 and 2015 She Leads Conferences. As a Friend of the Conference, Horizon One provided a financial contribution that helped us make the Conference more affordable for young women, and supported their team to attend the event. The following organisations partnered with us in 2014 to deliver the inaugural She Leads Conference. In the spirit of its mission to advance the status of women, the Zonta Canberra Chapter collaborates with us to deliver professional development opportunities to local women, young women, and girls. In 2014 Zonta provided funding to provide two scholarships for women to attend the She Leads Conference, as well as a donation to supplement our annual Great Ydeas Grants Program. HESTA partnered with us on the inaugural She Leads College Conference in 2014 and the 2015 She Leads Conference. As a Friend of the Conferences, HESTA provided our attendees with valuable insights and resources regarding superannuation planning for women. Demonstrating their support for women’s leadership, Westpac provided a scholarship for a woman to attend the 2014 She Leads Conference.